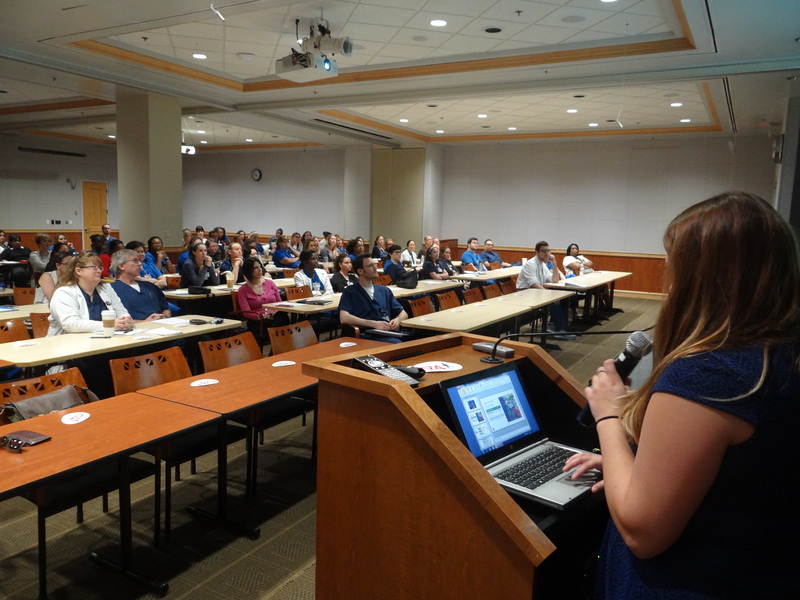 In July, BFF connected with more than 100 nurses at Orlando Health about pedestrian safety. Our partners at Orlando Health are always ready to learn about pedestrian laws and how they can be a voice for prevention. Dr. J. Ibrahim shared with us a case study of a 75-year-old man that was hit by a vehicle and a 36-year-old cyclist that was drinking and was hit by a car. Both survived, but spent three to seven days in the ICU. He spoke to the nurses about what injuries to look for and the best treatment options to keep the victims out of pain and on the way to recovery. Thank you, Orlando Health, all of the nurses who attended and Dr. Ibrahim for being our partner to protect peds.